If last weeks post featured a rare item, here's something that's almost as rare. 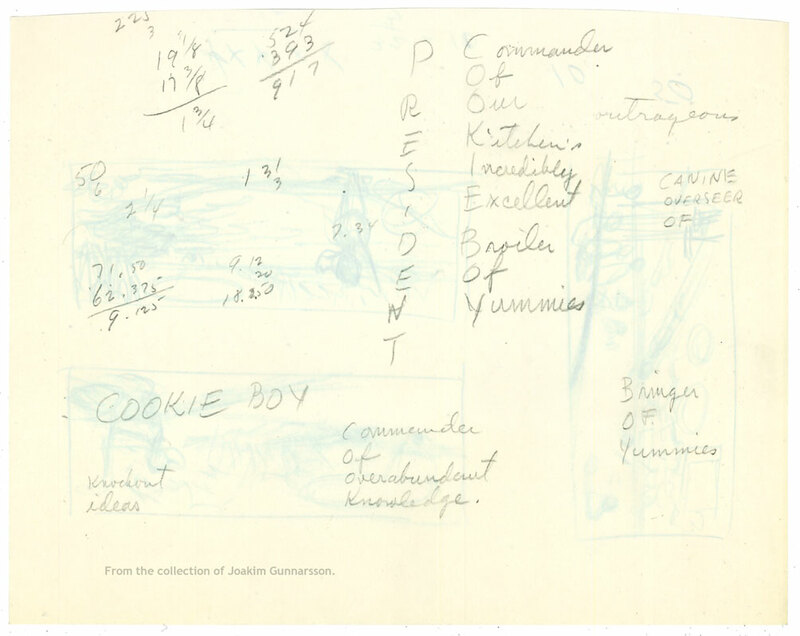 A 1960's handwritten preliminary script for an Uncle Scrooge one pager. 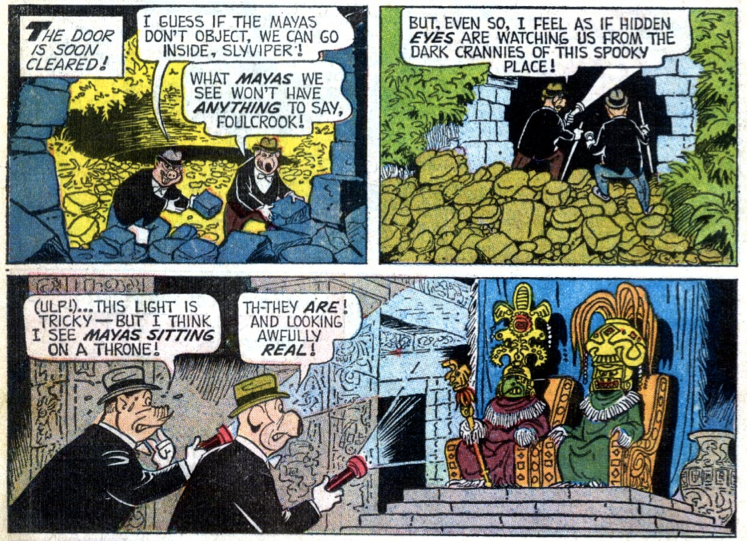 This one was published in Uncle Scrooge 55 (1965) without title. 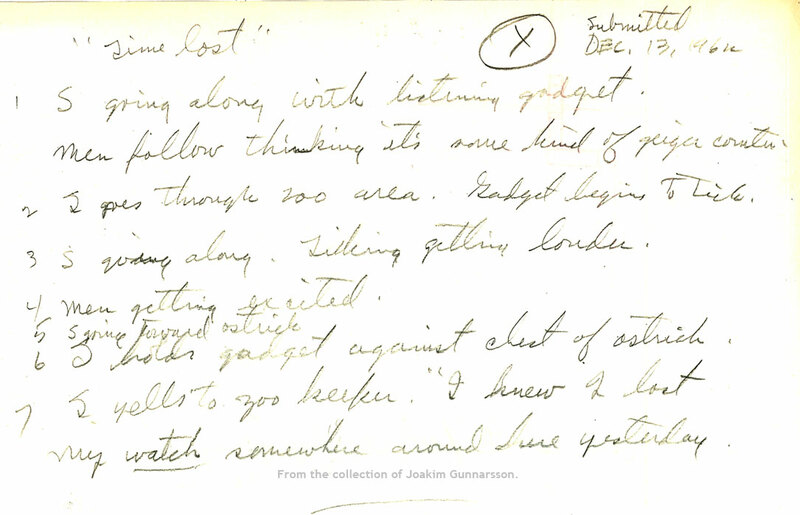 It's later been labeled "Ticking Detector", but here we can see what Barks own title was: "Time Lost". But now for the "mystery" I promised you last week. 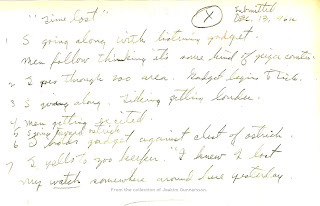 On the back of this sheet there are some "try-outs" for a sentence or two. 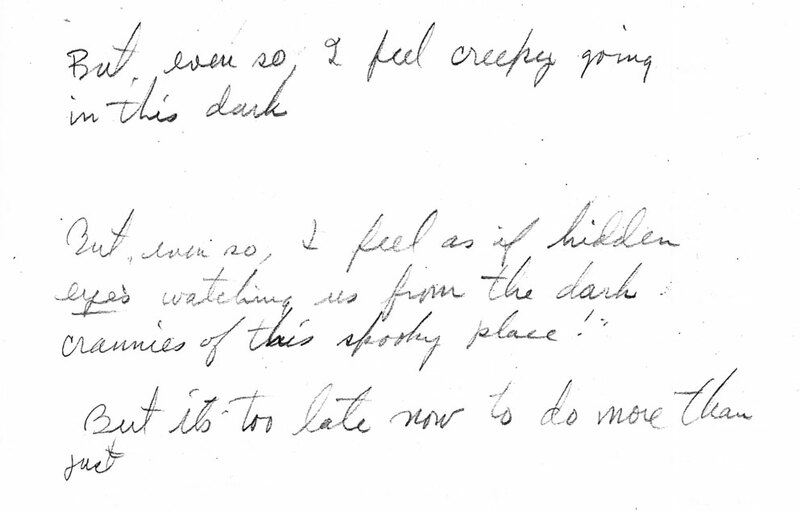 "But even so, I feel creepy going in this dark"
"But even so, I feel as if hidden eyes watching us from the dark crannies of this spooky place!" 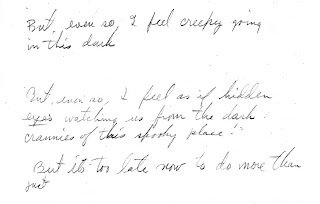 "But it's too late now to do more than just"
Question is wich story he was working on and what the final version was. Any guesses? 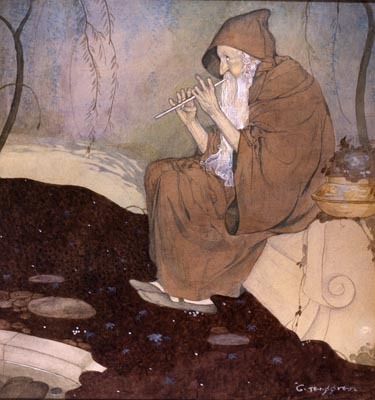 I have no idea why I havn't linked to Lars Emanuelsson's Gustaf Tenggren page before. But better late then never! 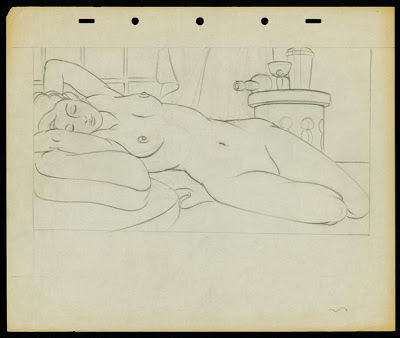 Go there for loads of info on Tenggren, index and beautiful images by this classic artist. And don't miss the Tenggren exhibition at Åbergs Museum! Open now! 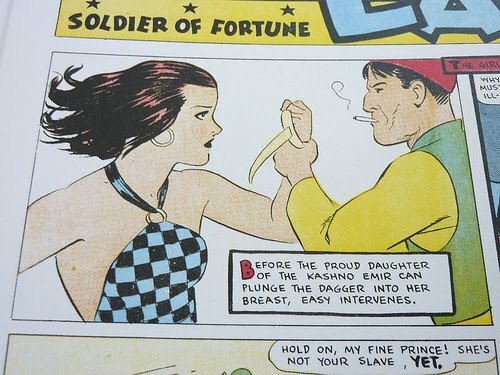 Fantagraphics now have a preview of the upcoming Captain Easy book available! PS. 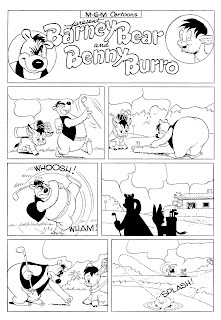 Also added a link to my gallery at comicartfans.com under the "More me" label to the left. 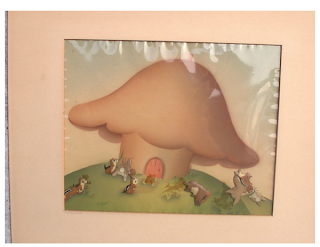 Go there to see some of the artwork I have collected over the years. 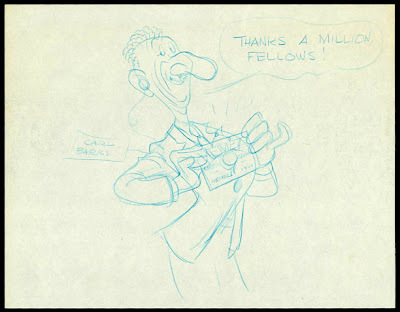 If original comic book pages by Carl Barks from the 60's are rare, comic page layouts from that period are even rarer. But here are a few samples. 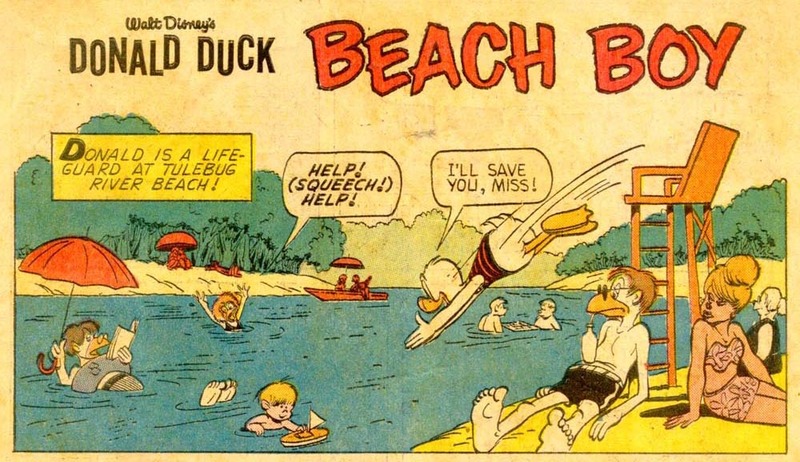 A sheet that features the opening panel and a panel from the 7'th page of Beach Boy, WDC 276, 1963. The story was sent in to Western in September 1962 so it's a safe bet to say that these are from August-September that year. 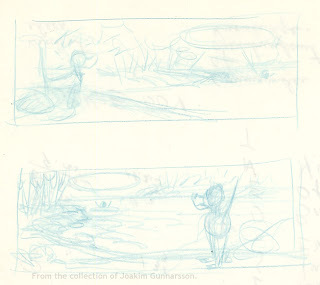 As you can see he the layout for the opening panel is the same as the finished one. 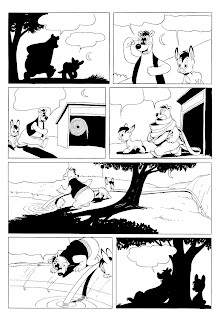 For the panel on page 7 we have two different versions. Now, the reason why these were saved by Barks was probably because of what was written on the reverse. An unused (?) 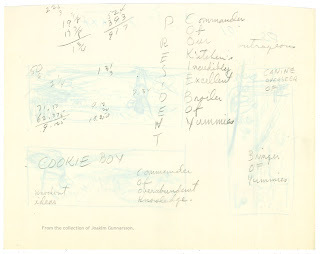 Junior Woodchucks title: Cookieboy. Probably to be saved for later. Instead the not-so-clever title Gpootkh was used. 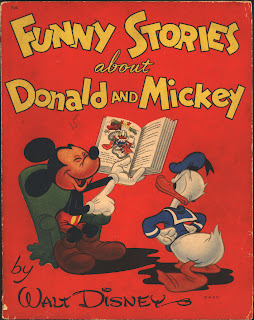 Picked up a copy of the 1945 book Funny stories about Mickey and Donald a while ago. 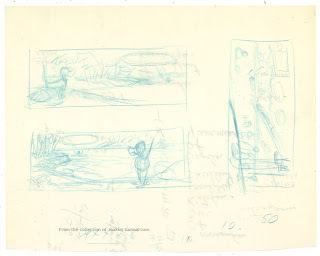 Now the interior are mostly redrawn versions of what I believe are Mickey and Donald sunday pages, told in story form. But the cover was made especially for this edition and I thought I should share it here. This week I'm having a "vacation", wich today means spring cleaning. Wohoo! (That's an ironic wohoo. Just so you know.) The whole apartment gets dusted and papers gets sorted. And plenty of stuff, comics and assorted things to be photographed and sold. And some to get junked. Got waaay to much stuff on my shelves, in my closets and drawers. Now: Off to get Hedvigs next sketchbook to the printer. Then some workout and then maybe I'll post something rare on blog in the evening. 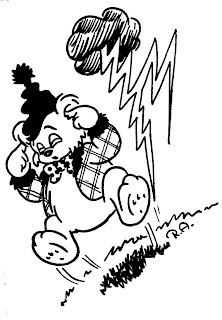 Just downloaded the softproof for BAMSE 7 2010. And I just wanted to share the cover with you. 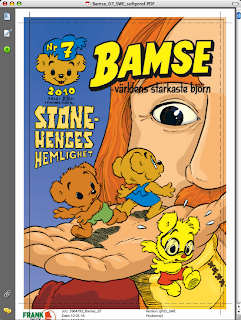 For a change this is a cover with Bamse's kids instead of Bamse himself. Turned out to be a pretty dramatic cover. "The secret of Stonehenge"
Artwork by Lars Bällsten, inks by Bernt Hanson and colors by Lise Jörgensen. 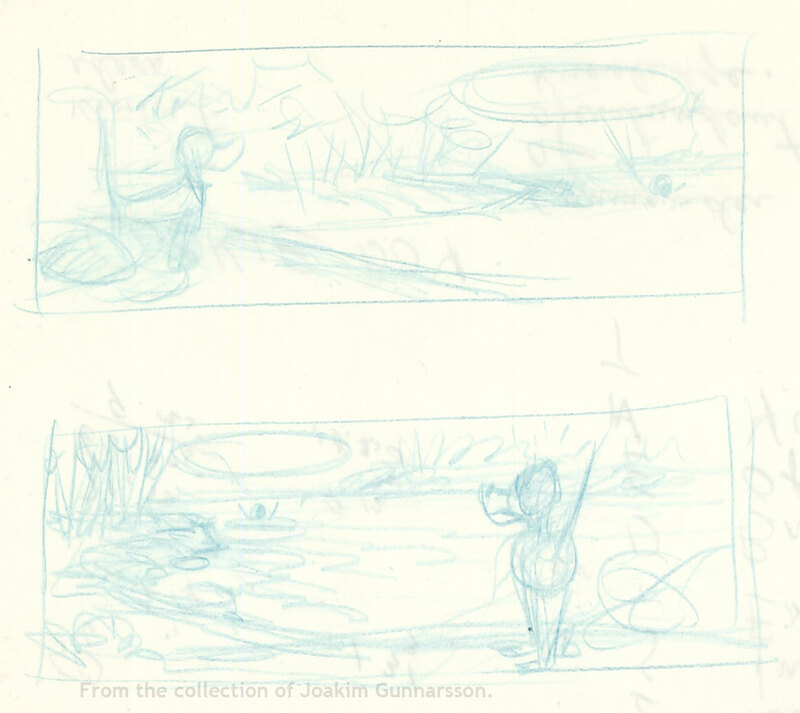 Idea and layout sketch by Charlotta Borelius and yours truly. 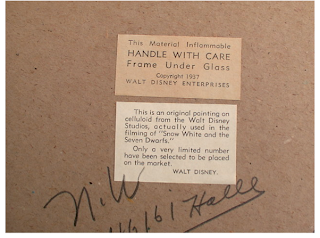 From Disney's Snow White, the eBay seller says. 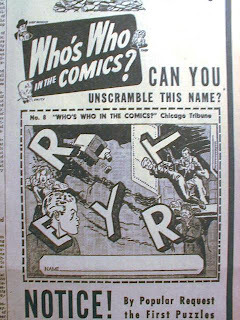 Got a new "Who's Who in the Comics?" 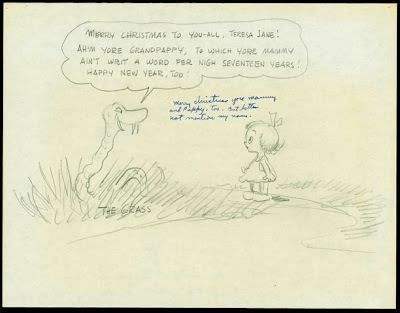 This one is from January 3, 1942. My guess this time is: Mytits. Swedish comics historian Fredrik Strömberg is currently working on a new edition of the book Swedish Comics History. (Published soon and distributed by Top Shelf in the US.) 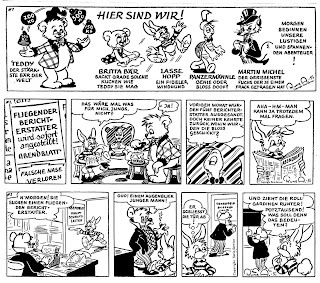 That book will feature a list of Swedish comics that at one time or another was published in German, English or French. Trying to help out I was going through my files at work today. 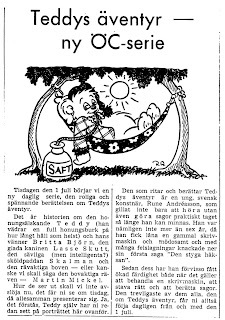 And I found some early samples of Rune Andréasson's strip Teddy from 1951. 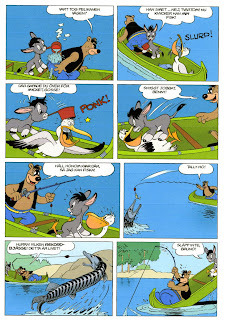 Here are the first three strips for those of you who are interested in seeing them. 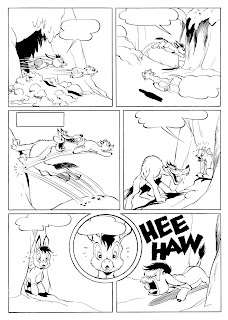 Here's a strip from the adventure of Teddy and the little donkey. (A storyline that Rune used over and over again through the years.) 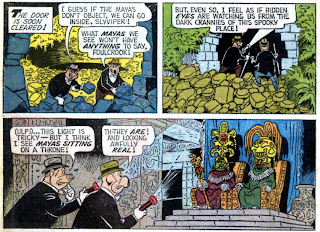 What makes it interesting, to researchers of the history of Rune Andréasson's comics, is that this might be the very first appearence of the Krösus Sork (Croesus Vole) prototype Sork-Sam, even if he's not named here. 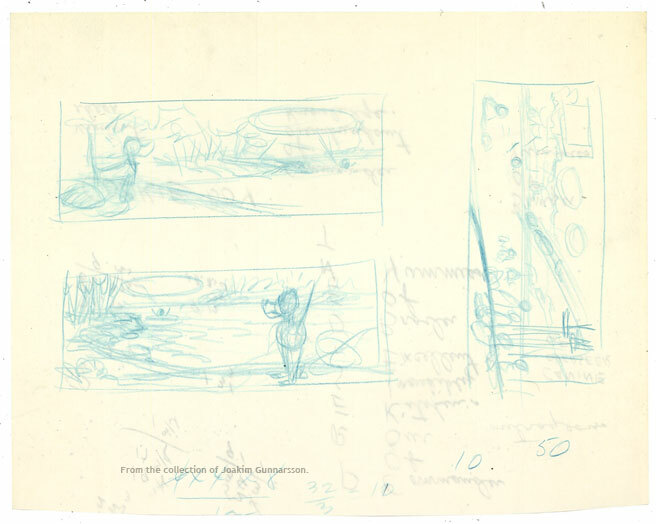 Three seldom seen images by Barks. 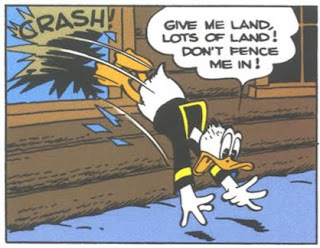 The first two was printed in the Scandinavian Carl Barks Collection. (A limited edition 30 volume, 10 box set of the complete Carl Barks Disney comics.) But they deserves to be seen by a wider audience of Barks fans. The third is possibly unpublished. 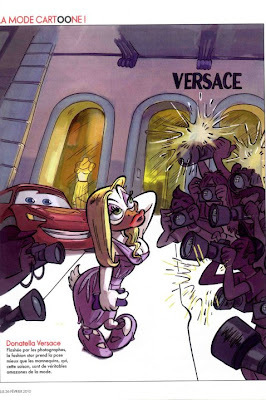 from French Elle magazine at the Disney History blog! 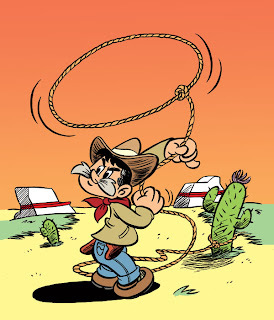 "[...] as this was a collaboration I just wanted to mention that DAAN JIPPES helped me by going over most of the layouts and all of the caricatures, MARIO CORTES drew the all the Disney characters on the last spread (Galliano) and FERRAN RODRIGUEZ inked these (again Galliano) and IVAN BOIX did the color." Great stuff! Go check it out, if you havn't done it already! 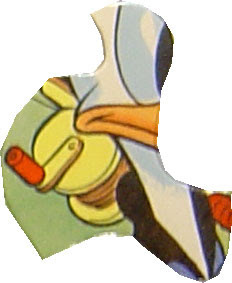 The puzzle piece shown was taken from a 1950 Whitman frame-tray puzzle. 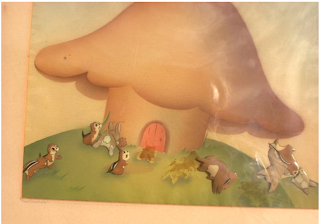 And what makes this puzzle interesting is that it's drawn by Paul Murry. 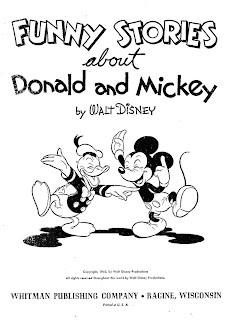 One of the best Disney artists in Western Publishing's stable at that time. As far as I know it's the only puzzle done by him. And it's quite large too. 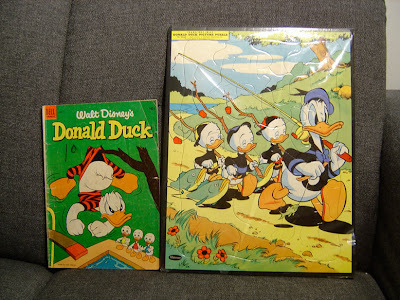 I've placed it next to a 1950's issue of Donald Duck so you can compare. Got it from the Western Publishing files. That explains why it looks like new. 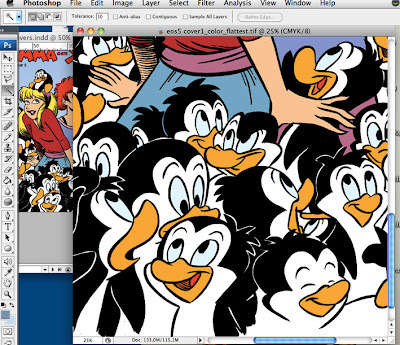 Gunnar Andreassen just pointed out the similarity to the cover of WDC 129. If the seller of Western Publishing's archives had his papers right the puzzle was published in 1950. 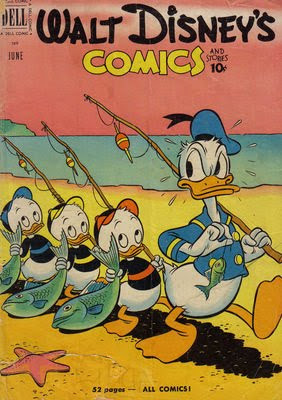 WDC 129 hit the stands in the spring of 1951. But wich image was actually drawn first we'll never know, I guess. Might even have been roughed by someone on staff at Western and sent out to the two artists at the same time. Name the artist and where the full image was published. 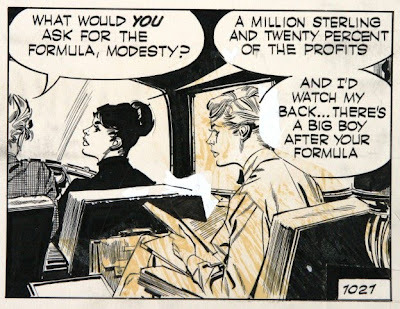 In the latest issue of Swedish Agent X9 comic book you'll find an unedited Modesty Blaise panel by Jim Holdaway that never has seen print before! The strip we are talking about here is #1021 from "The Head Girls", and the panel is the last one in that strip. 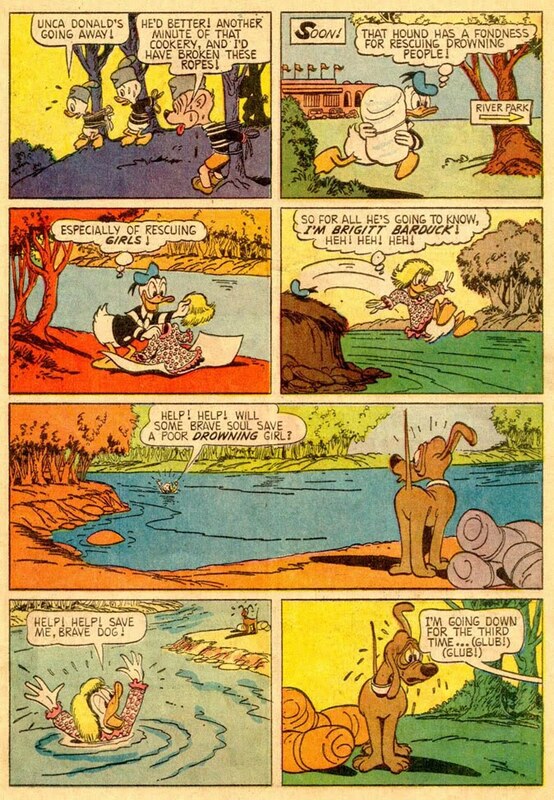 But when we looked at the original art, we saw that there was something "wrong" with he last panel. Apparently Holdaway must have felt the composition in the panel was wrong. He then made a stat to enlarge the woman and pasted it on the original art. 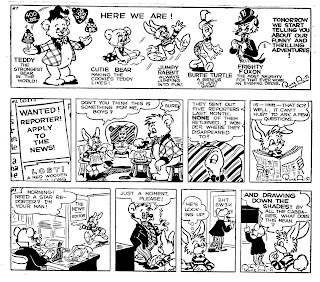 (You can see traces of the edge of the stat on the published strip. Right in front of the womans face.) The stat then fell off at one point or another, and left us with the original image. What we should have done was probably to restore the image to Holdaways intended version, but it was forgotten. 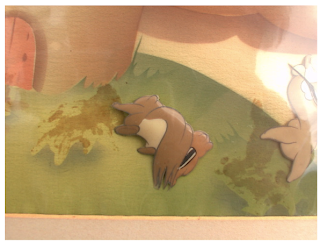 To make it easier for you to compare here are the two panels side by side. Enjoy! He's got some really nice ones for sale. Edit: In fact, he's got this very strip up for grabs at the moment! Today I'm happy to share another sneak peak with you. 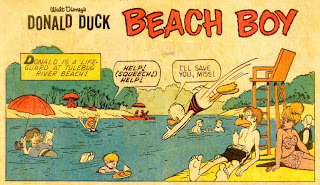 This time of a fan-dream-come-true: The complete collection of Carl Barks' Warner comics. 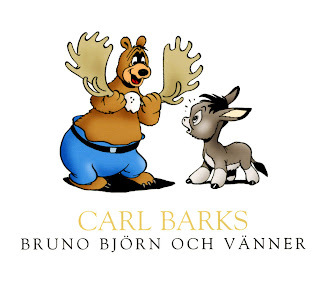 "Carl Barks Bruno Björn och vänner"
A thick book including all of Barks' Barney Bear, Benny Burro, Porky Pig, Happy Hound and Droopy stories! 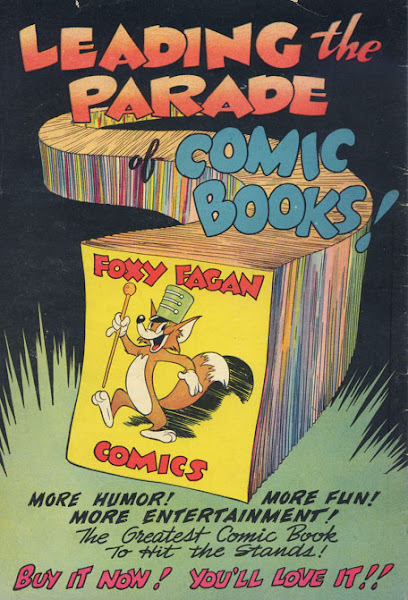 Even those he only wrote and Harvey Eisenberg illustrated are included. Most of these has been shot from pristine proofs thanks to Ulf Granberg. 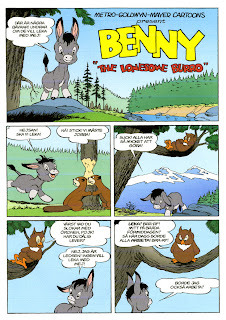 Beeing an editor for the Scandinavian edition of Tom & Jerry in the 80's he ordered these stories from Western publ. and ran them in T&J. And most important, he kept them unaltered with the logos intact. So, with a few exceptions where proofs couldn't be located, what you'll find in the book are the best presentation and reproduction of these stories ever! Prefaces by Geoffrey Blum and Ulf Granberg. 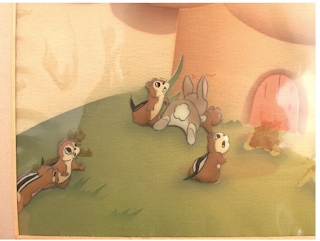 Here are some low resolution scans from our printers proof, just to show you what the coloring will look like. The book will be released in Sweden late March/early May. I'm not sure when the other Scandinavian countries will publish their versions. And as far as I know, no american edition is planned. Now for something completely different. A quick quiz.